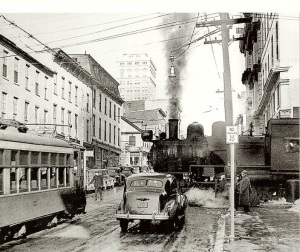 A longtime family owned operation in Lancaster, Shaub’s Shoes opened the 18 N. Queen St. property in 1880. 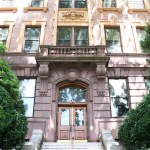 Using well-implemented, stylistic and intriguing detailing, Shaub Building serves as a vibrant landmark of Lancaster’s growing downtown commerce. A large street-facing window was designed to attract inquiring pedestrians. Customers were able to view and interact with the product event before stepping foot into the store! Large windows extend vertically through the space. Shaub Building is another wonderful example of the unique architectural heritage in Lancaster. 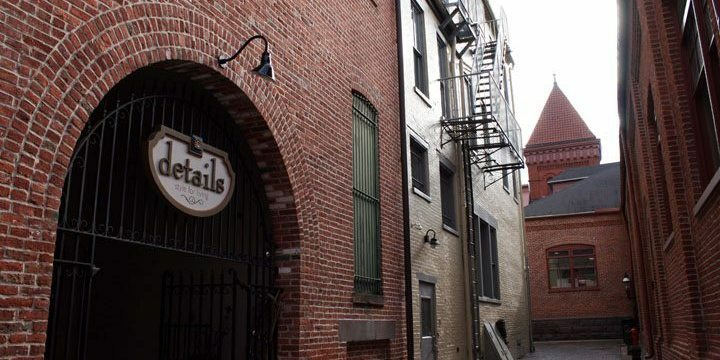 Ecklin Development is dedicated to preserving historic properties and creating communities for tenants to live, work and play. Completed in 1914, Groff & Wolf Building’s facade echoes traditional Beaux Arts themes. In preparation for construction, the site was expanded. 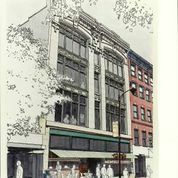 At the time, the purchasing prices for the site’s expansion project was regarded as one of the highest prices ever paid for any real estate development investment downtown. Exterior design elements suggest that Lancaster’s C. Emlen Urban as the site’s architect. Site of Col. Adam Reigart’s Grape Hotel, the space originally served as a meeting place of numerous revolutionary groups and committees. Groff and Wolf served as a center for independence in Lancaster County. Notable groups such as the county’s Committee of Observation met here during the revolution. The space currently serves a number of downtown commercial and retail destinations including Groundworks and Details. Residential properties are also available. Completed in 1906, perhaps C. Emlen Urban’s finest institutional commission, Stevens School served the School District of Lancaster. 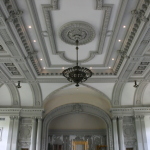 Featuring Beaux Arts themes and Greek Classical and Italian Renaissance motifs, the structure’s beautifully adorned facade transcends through the building’s charming and elegant interior. 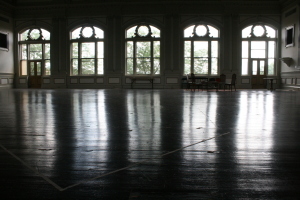 A focal point of Urban’s complex, an expansive ballroom resides on the third floor. Remodeled and converted into residential apartments, today, Stevens School is an excellent example of adaptive redevelopment. Stevens School offers a unique marriage of period craftsmanship and contemporary design. Stevens School currently serves a growing community of Lancaster residents. 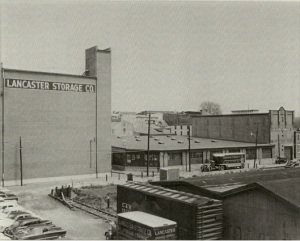 Lancaster Storage Co. purchased the 342 North Queen Street property in 1919. By 1920, a one-story furniture warehouse facility was constructed. An additional one-story building was completed by 1921. 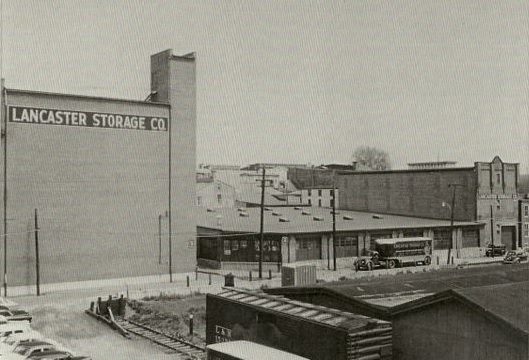 In 1930, Lancaster Storage Co. constructed a six-story, 14,500 foot warehouse. In conjunction with Aero Mayflower Transit Co. in 1931, Lancaster Storage Co. specialized in long distance moving, merchandise distribution and packing. Today, the property serves a variety of small businesses including The Candy Factory’s Warehouse D, Lancaster’s premier coworking space. Much of the period craftsmanship has been left intact, including the large exposed beam ceiling, antique elevator, exposed brick walls and concrete flooring. Many unique details of the space remain, including steel door handles, overhead commercial lighting and steel piping. Additionally, Building Character currently operates out of the Lancaster Storage Co. complex.